Ward Black Law attorney Afi Johnson-Parris recently served as a faculty member at the Family Law Trial Advocacy Institute in Boulder, Colorado sponsored by the National Institute of Trial Advocacy (NITA) and the American Bar Association (ABA) Family Law Section. NITA’s team of professors, judges, and practicing lawyers apply their knowledge, credentials and experience to train and develop legal advocates that will help improve the adversarial judicial system. Johnson-Parris was invited as an expert in the area of family law trial advocacy to teach other lawyers about presenting child custody, equitable distribution, and divorce cases in court. On the heels of returning from NITA, it was also announced that Johnson-Parris had earned the distinction of being named by U.S. News & World Report to The 2018 Best Lawyers in America© listing in the area of family law. Best Lawyers© has been regarded as one of the most reliable and unbiased sources for legal referrals in the country for more than 30 years. Recipients of the Best Lawyers© distinction have been chosen by other attorneys using confidential, exhaustive peer evaluations. 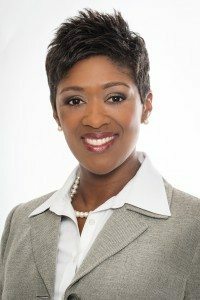 In 2013, Afi Johnson-Parris joined forces with Ward Black Law combining her existing family law practice with the opportunity to also pursue her passion for helping veterans through a veterans disability practice. A North Carolina Board Certified Family Law Specialist, Johnson-Parris was recently named the 2017 Legal Elite Winner for family law by Business North Carolina magazine. Johnson-Parris is a graduate of the University of Virginia School of Law. Prior to attending law school, she attended the University of Miami on a ROTC scholarship and later served as an officer in the Air Force. During her service, she continued in her pursuit of education, earning an MBA in Technology Management from the University of Phoenix- Southern Colorado Campus.